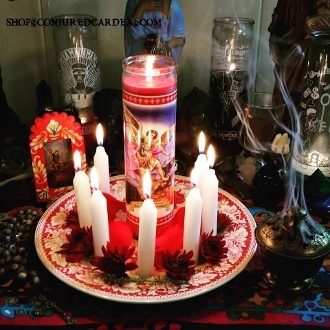 It is said that those who light a novena candle to the Archangel Michael and recite the 91st Psalm will be under his protection as long as the candle burns. This is a group service. I will dress and bless one candle for you which will be placed on the altar of Saint Michael for his holy day. You will receive photos within 72 hours of the service.